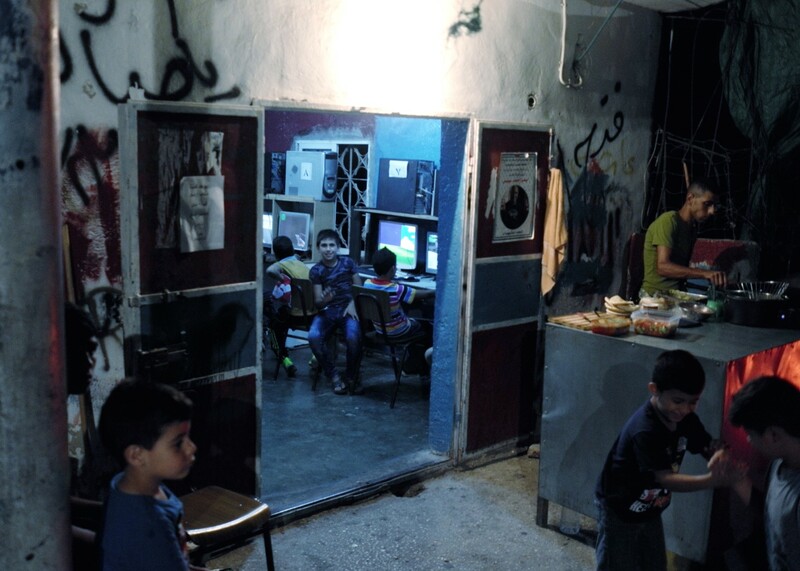 Dheisheh refugee camp - Benvenuti su criscophoto! 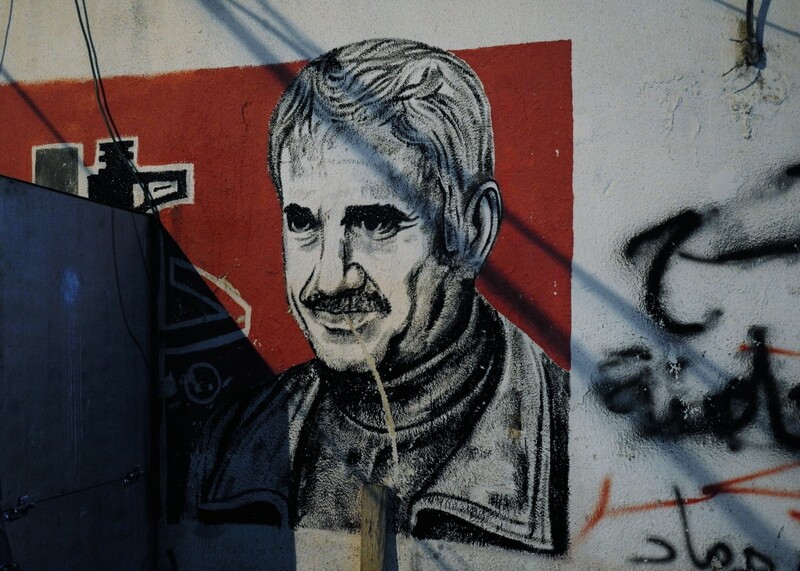 Founded in 1949, the Dheisheh refugee camp is located about 3 km from Bethlehem. 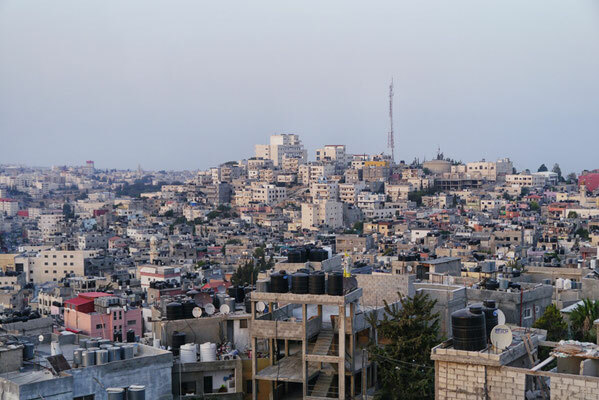 Created to accommodate Palestinian refugees fleeing the Arab-Israeli war, it is run by the U.N. 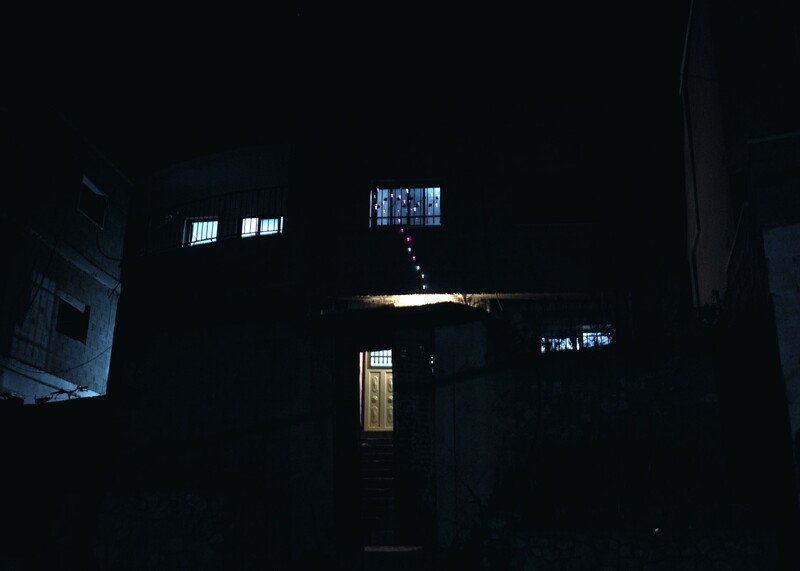 It is here that Ibrhaim was born and here he built his family. 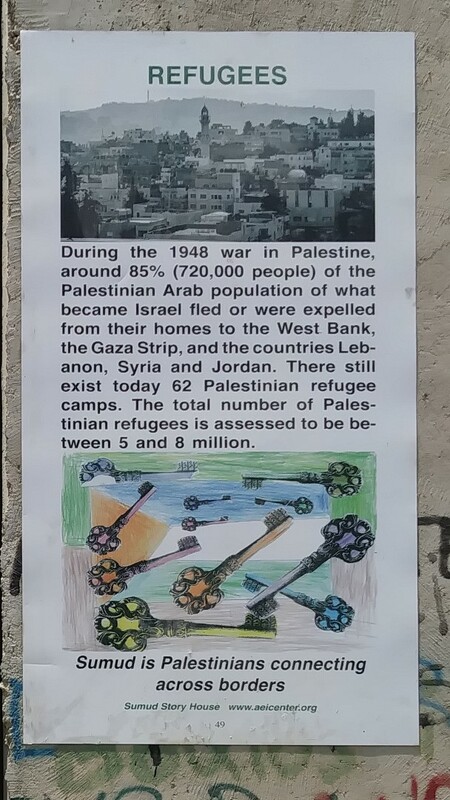 In 1948 during the Arab-Israeli war, Ibrhaim father took refuge here with his parents waiting for the political situation between Israel and Palestine to settle down. 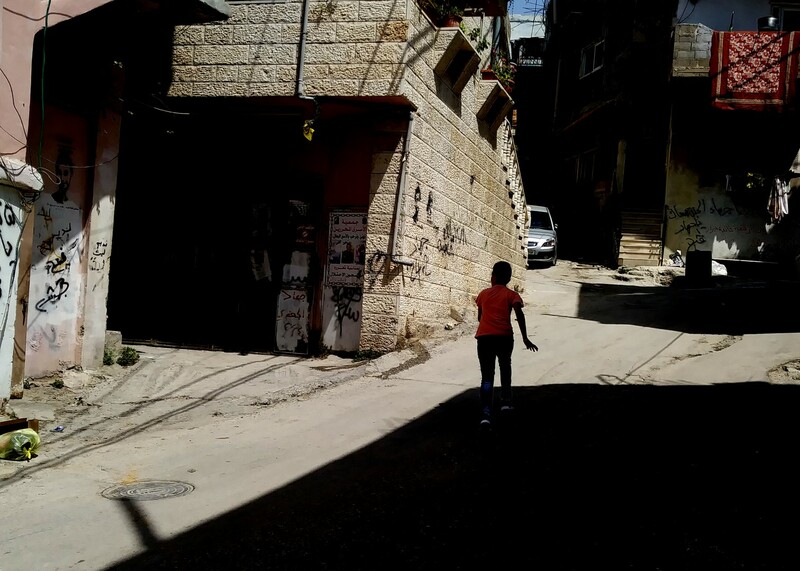 Years passed and Ibhraim's father married a girl known in the camp. 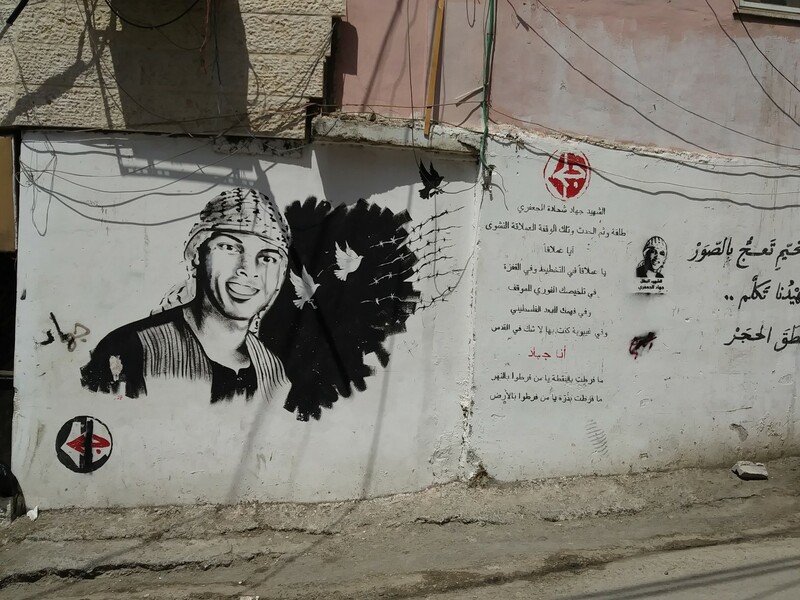 Ibrahim's parents believed they were returning to their homes, their land, and at that time the camp was a cluster of tents and huts. 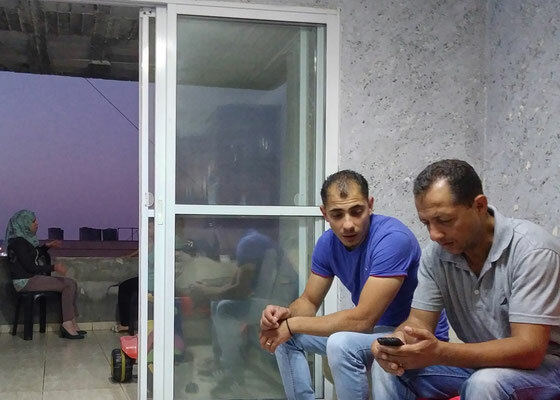 However, since the Israeli occupation seemed to have no end, the Palestinians had to accept the new reality and start making these camps their real home, to the extent that the family grew. 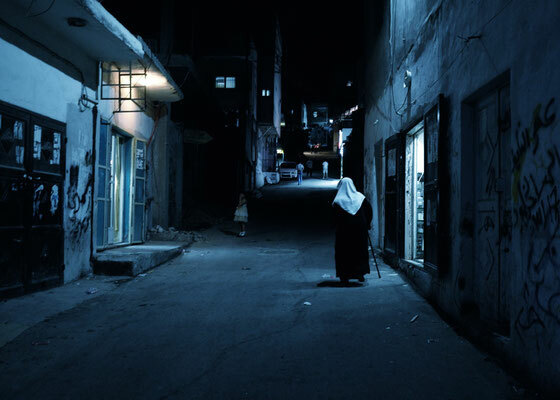 In the following decades Ibhraim and his brothers and sisters were born. They expanded the houses, paved the streets, opened shops and over time the field was transformed and the tents became first concrete houses and then houses with several floors to accommodate the whole family that slowly widened. Ibrhaim has married in turn and has two beautiful boys, and a baby girl is coming. Life in a refugee camp is quite similar to life in every suburb, with the difference that here the houses are not numbered, the streets are nameless, there are paintings pro-Palestine everywhere and often there are raids by the Israeli police, as most of the activists are in refugee camps. 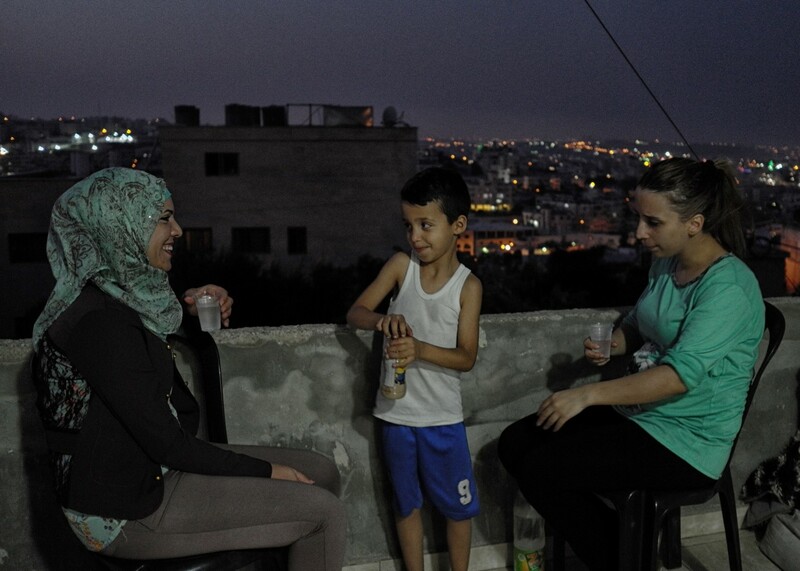 In response to these incursions, groups of children and adolescents gather on the roofs to throw stones at the soldiers. 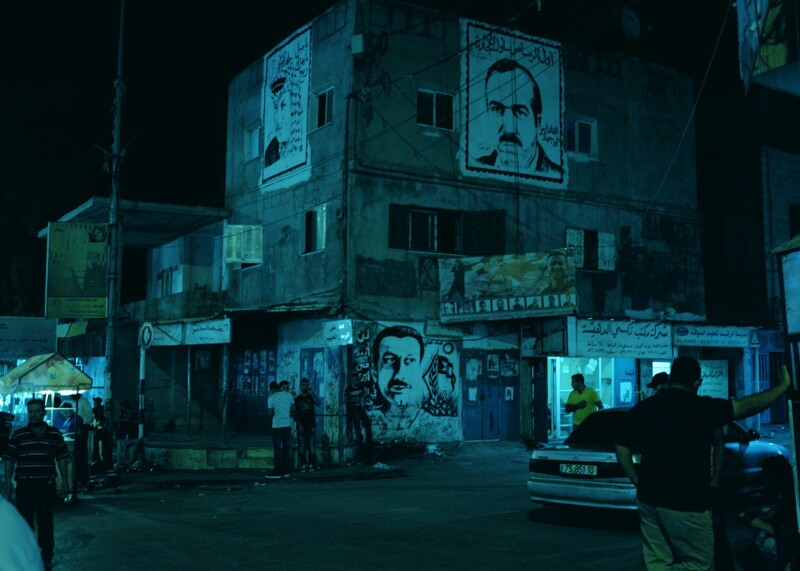 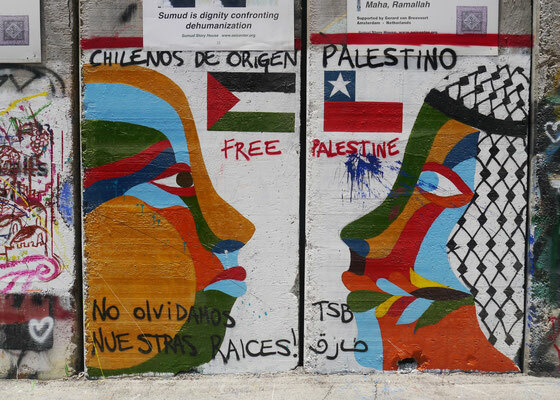 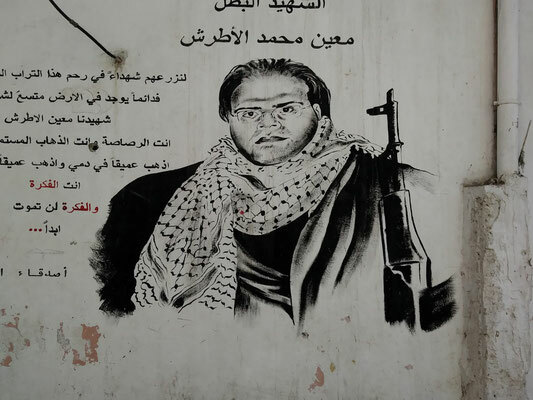 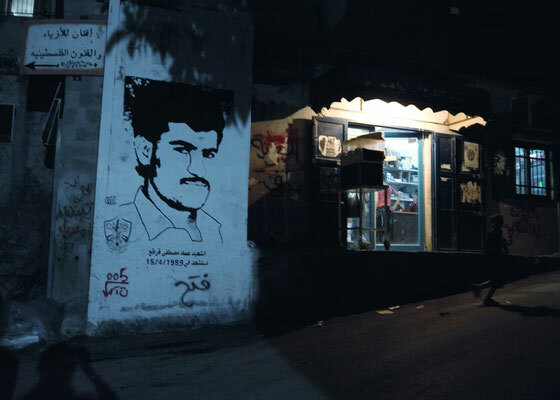 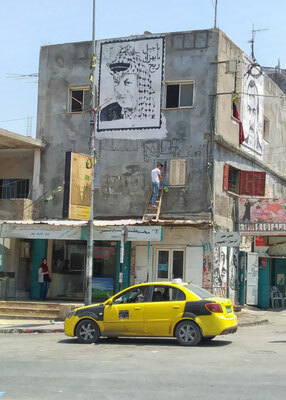 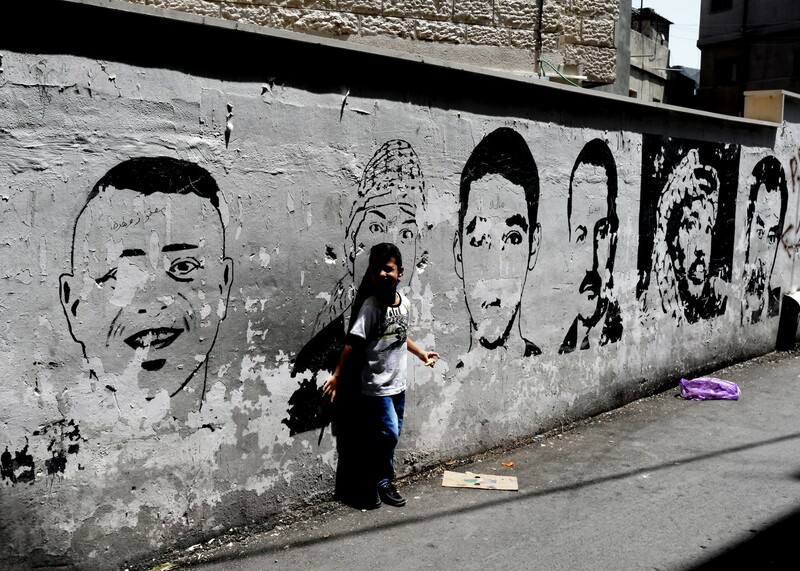 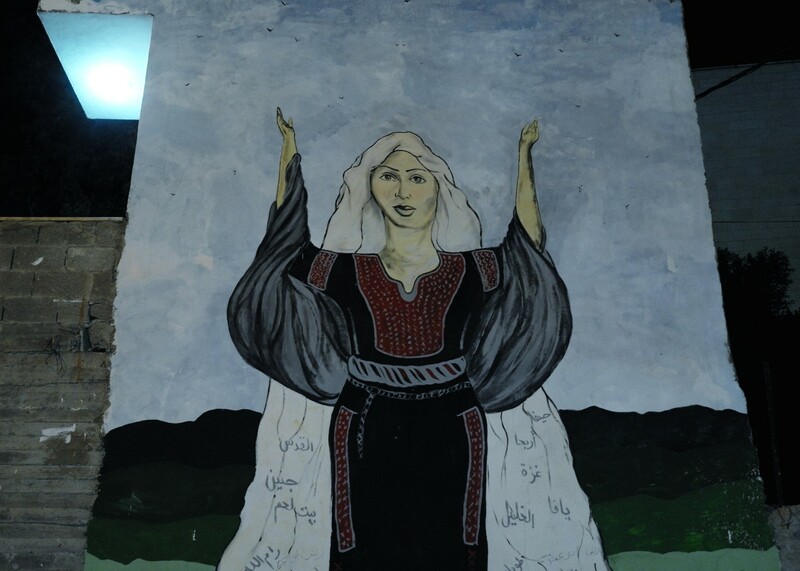 Sometimes the police respond with violence, injuring and sometimes even killing the boys and the faces of those killed boys are represented on the walls of Dheisheh. 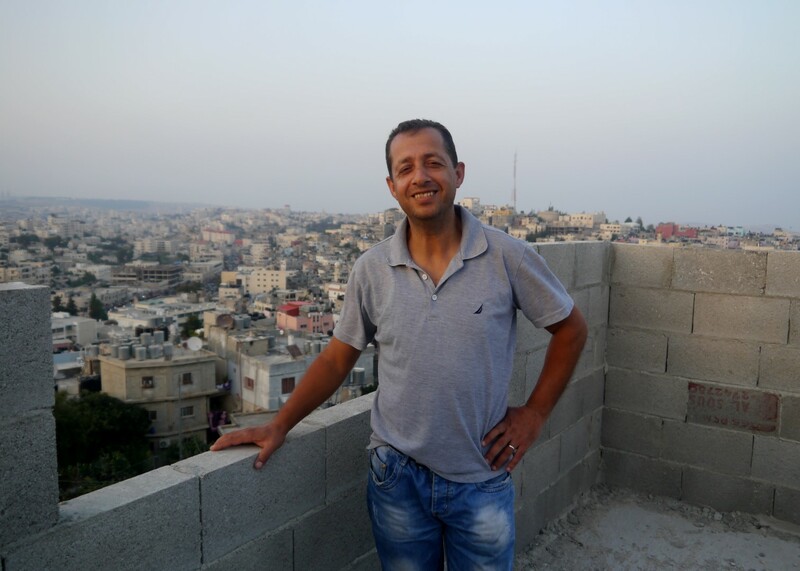 Ibrahim, however, has not resigned himself and dreams of being able to return one day to the land of his ancestors and above all he hopes that children can have a better and less precarious future. 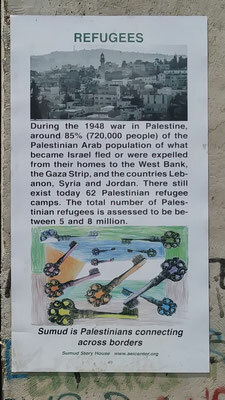 In 2048 the U.N. mandate will expire and the situation does not seems to go towards a solution.